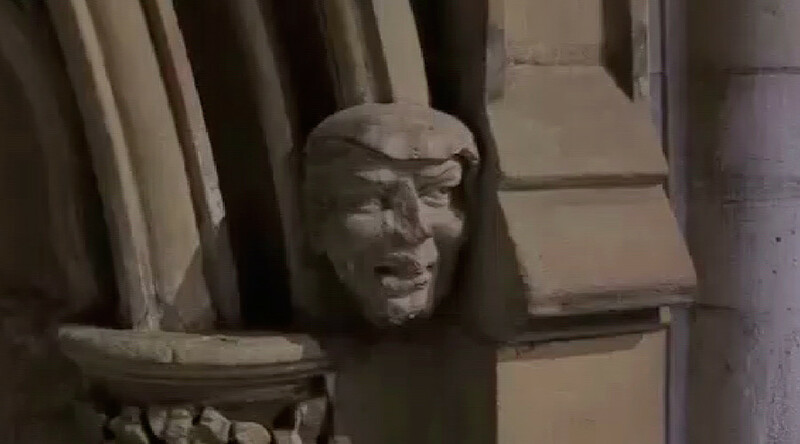 A Twitter search for “Trump gargoyle” reveals that numerous people who disagree with the president’s policies have been calling him a gargoyle for quite some time now. However, it also turns up photos of the apparently prescient stonework which resides in Southwell Minster Cathedral, Nottinghamshire. The 700-year-old artwork seems to sport the president’s trademark combover, and first drew attention when journalist Samira Ahmed posted images of it on her Twitter account. The 700-year-old Trump doppelganger is among 280 strange and comical figures in the cathedral. Nigel Coates, canon for Southwell Minster, told local newspaper the Newark Advertiser that masons expressed their sense of humor by sculpting each other amongst the cathedral’s cartoon faces and grotesques. “On the one hand he (Trump) might be honored to be carved in 14th century Mansfield stone but on the other hand he is low down and not on the level of Kings or Queens or even merchants,” Coates said.